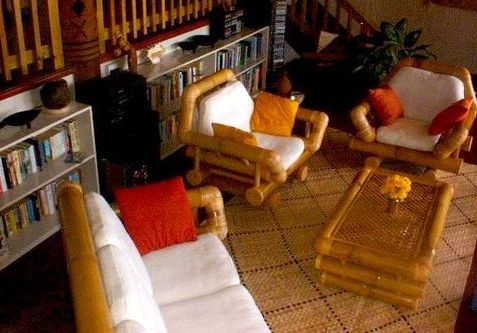 Our home is a new concept in accommodation for Levuka. The construction of your home-away-from-home has been quite a feat, but the finished product has been worth it. 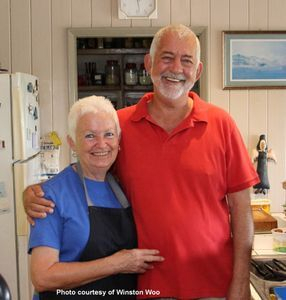 Bula from John and Marilyn Milesi. We first discovered Fiji in 1984 (it was our first overseas trip) and we have been coming back here from Perth in Western Australia every year since then. 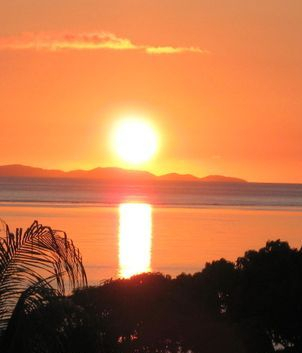 In 1999, we made a decision to come to Fiji with the intention of settling down here. Over a period of six months we travelled around the country, looking for somewhere we could call 'home'. 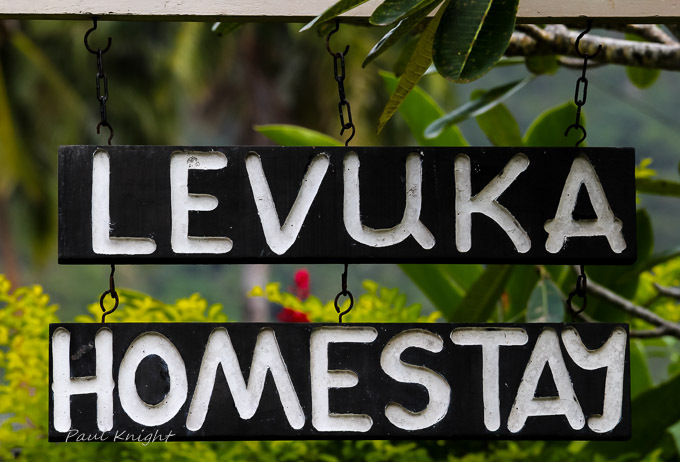 We were fortunate to find Levuka, the original capital of Fiji. We fell in love with this small town the moment we stepped off the airport bus. The people in our community here are very welcoming and we had no hesitation in deciding to find a block of land on which to build our home. We were very lucky to find this vacant block of land, just five minutes walk from the centre of town. 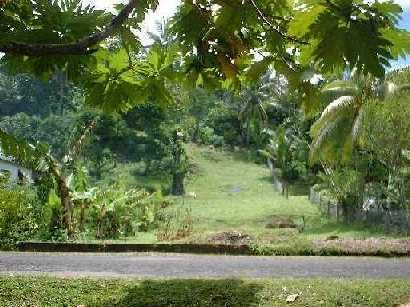 Having purchased the land, we went back to Perth and sold our home, put all of our affairs in order and returned to Levuka to set about building our dream home. The timing of our arrival could have been better as the country experienced political problems not long after our arrival. But we came here "for better or worse" and set about helping to rebuild our country. 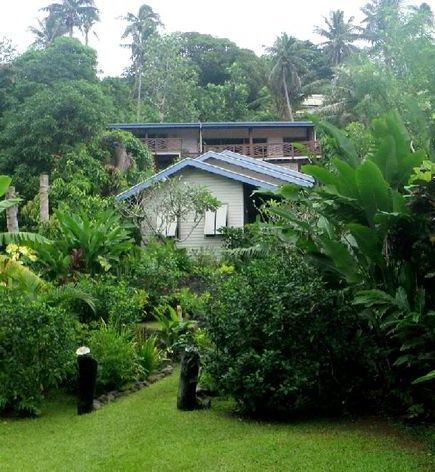 In building our home, we have designed it in the colonial style, in keeping with the general architecture of the town of Levuka. It is constructed of wood, using pine posts for support. Inside is decorated with Fijian artifacts and handicrafts. 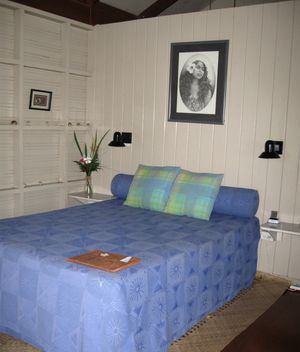 Our aim is to capture both the "colonial" and "Fijian" themes that are so much part of the heritage of this town. We have four rooms for guests - three air-conditioned rooms with queen size beds, and one room with a double bed and single bed. Your room is spacious, with polished floors, ceiling fan, refrigerator, ensuite bathroom, outside veranda and your own private entrance. Tea and coffee making facilities are also available in each room. You can relax on the covered deck in the lower part of the house or enjoy the fresh air in the privacy of our garden. You are also most welcome to enjoy the view from the upper deck, or watch a DVD, or read a good book in the comfort of our lounge room. A full breakfast is provided as part of the tarriff - freshly made fruit smoothie, local fruit, Marilyn's special muesli, a cooked breakfast, fresh tea or brewed coffee. 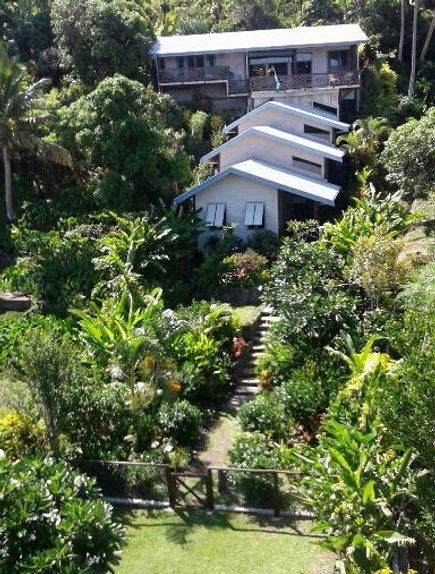 This should start your day off well, ready to enjoy your day's exploration of Levuka.